It was my most popular post to date. 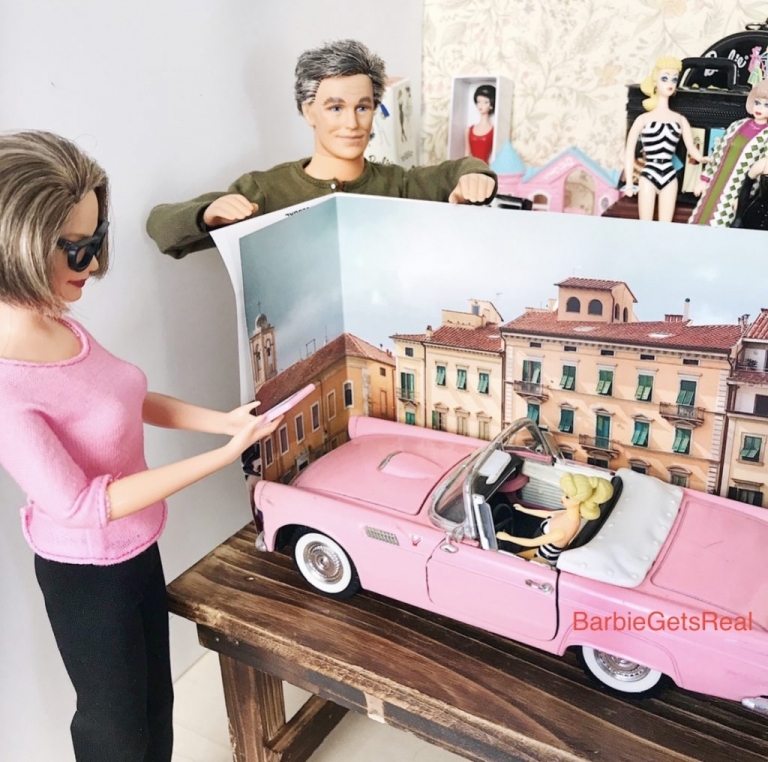 It’s been one year since I started my Barbie Gets Real Instagram. I had no idea that thousands would follow it. It was a family project with my granddaughters – as I wrote about here. “Where do you find all the little stuff? is the question I am asked most.” Finding the miniatures to create my parallel plastic universe has been half the fun. I created a YouTube channel to show my hunts for tiny treasures online and at swap meets, estate sales, and retail stores. 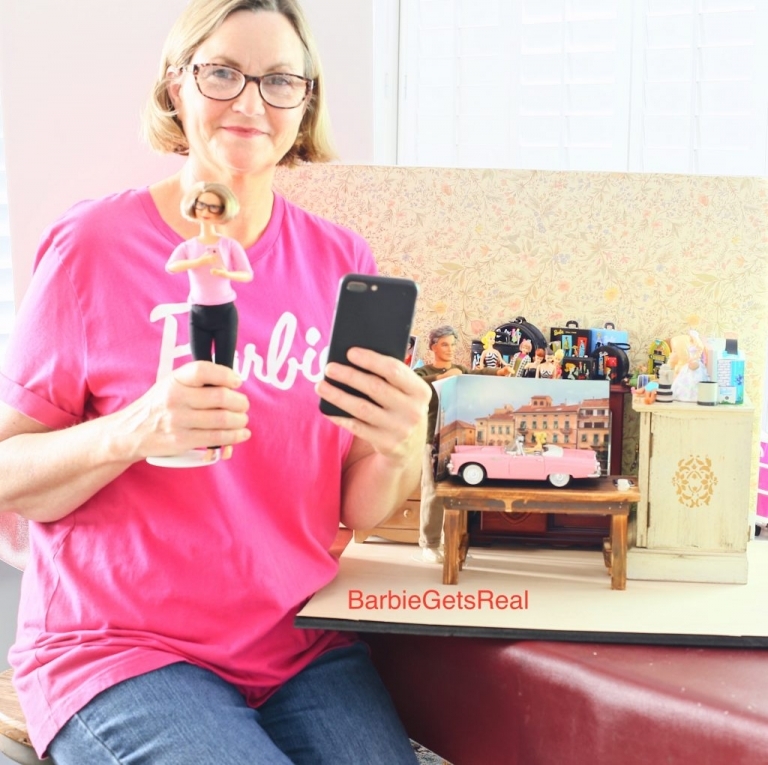 The most popular photos are of my mini-me, Grandma Barbie, and her Barbie collection. Clearly, I’m not the only one amused by a Barbie having a Barbie. I’ve been told, “That’s so meta!” and “Recursion.” I had to look both of those expressions up. LOL. Here are a few photos of a recent popular post. A Barbie photoshoot. Yes, me photographing a Barbie, photographing a Barbie. Recursion or Meta? You choose.